Often we hear our elders talk about how smart and talented the children are of today's generation and yes there are examples to prove our elders right!! 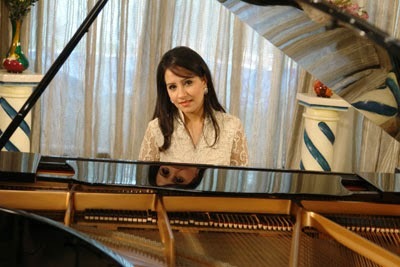 One of the examples is the PIANO MAESTRO, GURBANI BHATIA. 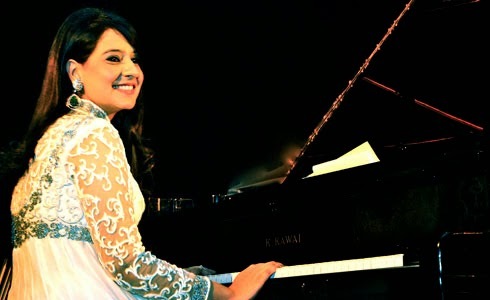 Gurbani has been playing the piano at the age of 13 and was named as the 'PIANO MIRACLE' by the famous music company T-SERIES. 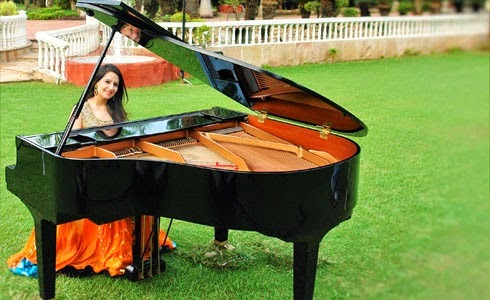 Piano has been widely used in the Indian cinema, it is ironic that the main song is usually composed keeping piano in mind. It therefore becomes even more interesting how gurbani brings out every detail of the lyrics and music becoming a one-man orchestra on this grand instrument. Gurbani has had no formal training andit has been gods grace to strike the right notes on the piano. Gurbani has adapted the western instrument to the Indian culture. She evokes nostalgia of great music directors like O.P. Nayyar, R.D. Burman, LaxmikantPyarelal, Madan Mohan and music directors of today like JatinLalit, A.R. Rehman, Shankar Ehsaan Loy and Yashraj Music. As an instrumentalist she loves filling the hearts of her audience with the charm of her magical fingers. She has released 3 ALBUMS. 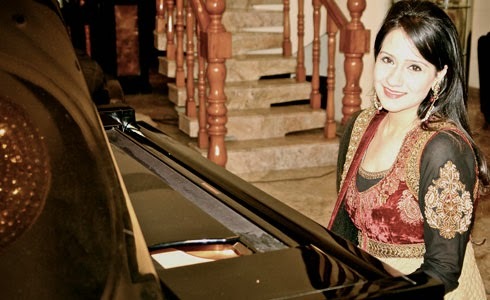 Her first music ALBUM at the age of 13, which was appreciated by the country.Gurbani has pioneered Punjabi folk music on the piano and was honored by WORLD PUNJABI ORGANISATION. One of the miraculous moments for her was the award as the 'BEST PIANO PLAYER' by UshaUthup in 2007. 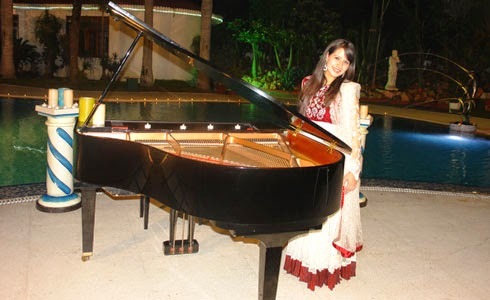 She has been awarded many times by KALA DARPAN and BHARTIYA KALA SMRITI as the youngest female pianist. In fact, she was a big hit on making the fashion models walk on the ramp. "DELHI CHESIRE HOME" for mentally and physically challenged. Gurbani has performed at the U.P PEDICON, AGRA at state level approximate audience of 1500 doctors of India. She was also invited to play at the PCA Club, Mohali for the Indian Cricket Team. 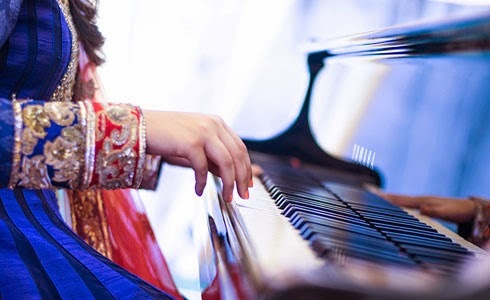 Gurbani strokes the piano with the passion of a lover slowly building the music to a crescendo moving listeners to untold heights of emotion and ecstasy. It than passing it on as we are the future of the country." 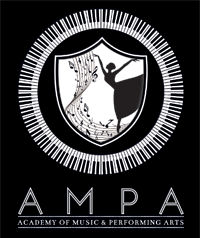 We have recently started Music & Dance School in Delhi called Academy of Music & Performing Arts and our school engages and supports students who have passion and zeal to pursue their dreams. Without music life would be a MISTAKE ! !